Muscat: Oman is fully prepared for the 2015-2019 Shura Council election, to be held on October 25 through unprecedented public electoral campaigns. Authorities will allow candidates to use any means to campaign, as per electoral regulations. 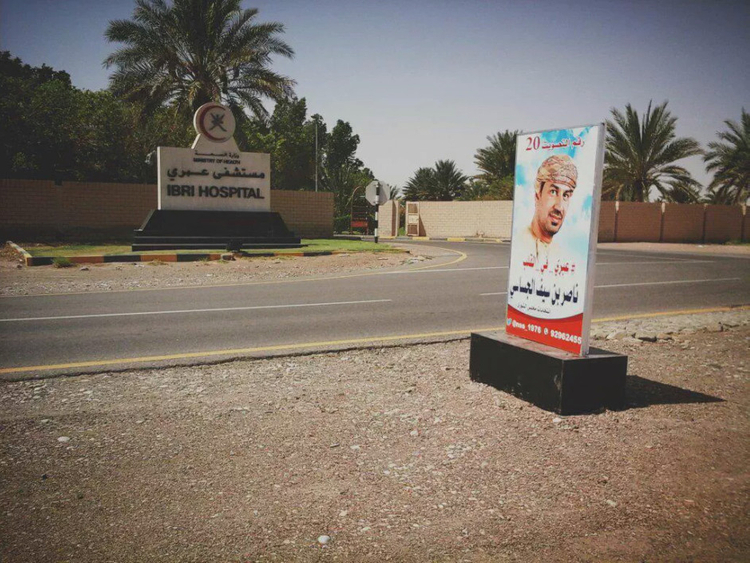 Electoral signs and banners of candidates are a common scene in Muscat and other provinces. 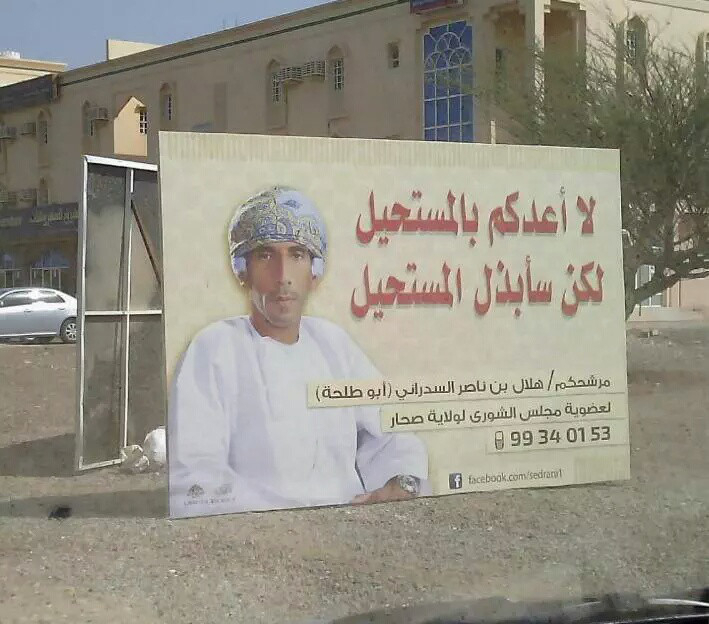 Hilal Al Wuhaibi, a candidate from Mutrah province, said that he put up more than five campaign posters in Mutrah in the hopes of reaching a wider audience. “I used Twitter, Whatsapp and Facebook [to campaign],” said Al Wuhaibi. Balqees Al Nadabi, a Bausher province candidate, is among 20 women candidates vying for seats. “I allocated some money for advertising ... hopefully people will vote for me in the coming election,” she said. Balqees thinks that social media is more effective than posters or billboards, as she can pass information to voters very easily. Other candidates prefer to meet voters without putting up posters as they think it’s good to sit with people and tell them about your electoral schemes. Nasser Al Busaidi, a Nizwa province candidate, said that he meets people in the province and targets Omani youth in order to change their negative views about the Shura election. “Some youths do not realise the importance of Majlis Al Shura as a house that reinforces the pillars of democracy in Oman,” he said. Meanwhile, Shura forum seminars entitled “Your Vote is Your Honesty”, organised by the Ministry of Interior, are highlighting the importance of the Majlis Al Shura election among Omanis. The Shura forum host candidates of each province as well as nationals in an open dialogue about the plans and visions of each candidate. The organisers of the forum said such seminars help the voter pick the right candidate. Candidates were recently warned by the government not to try to buy votes; they would face stiff penalties. A three year jail-term and a fine of more than 3,000 rials (Dh28,620) would be imposed on any candidate promising cash or other kinds of rewards in return for votes. An official at the Ministry of Interior told Gulf News that the penalty was introduced to crack down on vote buying. The official said very few cases of vote buying had been lodged in the previous elections. The number of candidates stands at 596. Dhofar is the governorate with the highest number of candidates at 126, followed by Dhakliyah with 77, Muscat 70, South Batinah 61 and North Batinah 60. The rest of the candidates come from other parts of the country. Of the registered candidates, 64 per cent belong to the 30-44 age group. In terms of education, 38.1 per cent of the candidates have cleared secondary school, 36.6 per cent are university graduates and 2.8 per cent hold PhDs. Under Omani law, candidates running for the Shura council must be Omani by birth, be at least 30 years old, and not be involved in felony crimes. The number of eligible voters in the elections stands at 600,000. The Omani Shura Council was established in 1991 to replace the Consultative State Council, which lasted from 1981 until 1991. Majlis Al Shura is the lower house of the council of Oman and has enjoyed some legislative and regulatory powers since 2011.